Poor discipline within the Labour ranks spilled over into the media on Tuesday as a dispute over the party’s approach to the government’s fiscal charter saw several MPs breaking ranks to criticise the leadership. Emily Thornberry, shadow employment secretary, had told MPs not to text journalists and to keep their voices down at a Parliamentary Labour Party meeting on Monday evening in Parliament, journalists being stood outside the committee room where it took place. Yet John Mann, MP for Bassetlaw and a member of the Treasury Committee, gave an interview to the BBC and wrote a piece for Politics Home in which he argued that shadow chancellor John McDonnell had been ensnared in a trap by chancellor George Osborne. The aim of this trap was to weaken Labour’s economic credibility by making its leadership chose between looking profligate if they did not agree to balance the books, or accept spending cuts detested by the party’s core supporters. Whilst McDonnell had said he would back Osborne’s fiscal charter to balance the books, on Monday he reversed this decision, leading many MPs to criticise the leadership within earshot of journalists. Mann complained that this reversal had occurred without consulting MPs, even though he jokingly praised McDonnell for getting it “right in the end.” But he said the shadow chancellor “looks a bit of a fool” because of his behaviour. Corbyn, leader of Labour, has been forced to operate a more consensual approach to cabinet management than his predecessors owing to weak support from Labour MPs for his leadership. Earlier today Diane Abbott gave an interview to BBC Radio 4 in which she attempted to defend her leader to a bemused John Humphrys, adding that “some people are only slowly coming to terms” with the result of the party’s leadership election, in which Blairites were sidelined in favour of hard leftists. 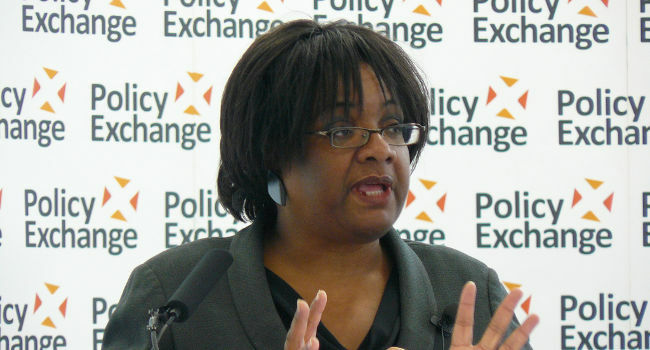 Hackney MP Diane Abbott went on Radio 4 on Tuesday morning in a bid to rectify the damage caused by news that a civil war had broken out among Labour MPs after the leadership reversed its position on the government’s fiscal charter. A bemused John Humphrys provoked laughter from Abbott as she attempted to dispel the view that Labour’s chancellor John McDonnell believes “the deficit can go hang”, after it emerged he does not support the government’s plans to balance the budget after investment spending is taken into account.